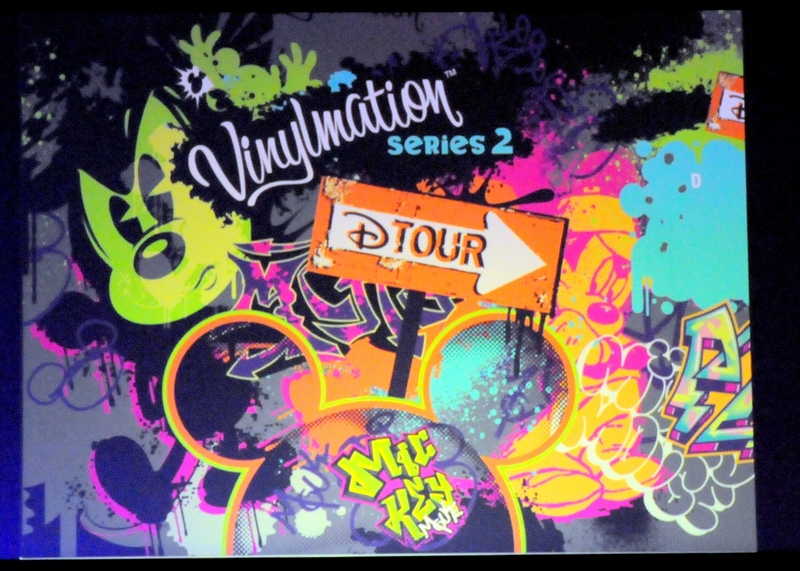 A second, revamped D-Tour Series will be released at the Disney Parks in 2014. Series 2 will be blind boxed, as opposed to the open window first series. There will be 8 figures in the set, no word if there will be a chaser. This series will also include both Mickey and Minnie platforms. No previews were shown other than this graphic. So let me get this straight… They run Urban into the ground with bland designs. Then ditch it for Urban Redux, a new take on Urban that didn’t seem popular. Only to revamp D-Tour to seemingly be like the original Urban? Give me some great designs like Urban 1-7 had and I’ll bite.